Our insulated poly tanks are standard tanks with a 2" thick layer of Polyurethane closed cell foam insulation applied to all outer surfaces except for the bottom of the tank. Closed cell foam, as opposed to Open cell foam, is comprised of sealed foam bubbles that do a better job of insulating and do not soak up moisture like a sponge. The layer of insulation on our tanks is sealed with a White mastic coating. The polyurethane closed cell insulation on our tanks has an R-value between 6.0 and 6.5 per inch of thickness. With a 2" layer, the R-value is between 12.0 and 13.0. Since this is a sprayed foam product, the properties can vary slightly from one tank to the next. The polyethylene vertical and open top tanks meet standards set by ASTM D 1998. 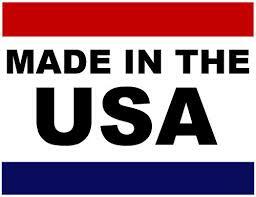 There are no ASTM standards written for other tank shapes or resins. These insulated tanks do not include Heat Tracing. Heat Tracing is the use of specially designed Heat Pads and a digital control box to keep liquids from going below a pre-set temperature. For water storage, this would be to keep the water from freezing. For Sodium Hydroxide or Caustic Soda storage, the maintenance temperature would be at least 65 degrees and possibly as high as 85 degrees. We can easily add Heat Tracing to any of these tanks. We need a bit more information to properly calculate the right heat pads. Click here to give us the Zip Code where the tank will be installed, the liquid you will be storing, and the maintenanace temperature you need for the liquid. INSULATED 10,000 GALLON VERTICAL TANK 1.9SG VERTICAL HDPE $15598.00 . INSULATED 6,500 GALLON VERTICAL TANK 1.9SG VERTICAL HDPE $9484.00 . INSULATED 6,000 GALLON VERTICAL TANK 1.9SG VERTICAL HDPE $9438.00 . INSULATED 4,200 GALLON VERTICAL TANK 1.9SG VERTICAL HDPE $8545.00 . INSULATED 3,000 GALLON VERTICAL TANK 1.9SG VERTICAL HDPE $5199.00 . INSULATED 2,000 GALLON HDPE VERTICAL TANK 1.9SG VERTICAL HDPE $3850.00 . INSULATED 1,550 GALLON HDPE VERTICAL TANK 1.9SG 87 in VERTICAL HDPE $2967.00 . INSULATED 1,550 GALLON HDPE VERTICAL TANK 1.9SG 64 in. VERTICAL HDPE $3450.00 . INSULATED 1,100 GALLON HDPE VERTICAL TANK 1.9SG VERTICAL HDPE $2959.00 . INSULATED 800 GALLON VERTICAL TANK 1.9SG VERTICAL HDPE $1999.00 . INSULATED 650 GALLON VERTICAL TANK 1.9SG VERTICAL HDPE $1799.00 . INSULATED 550 GALLON VERTICAL TANK 1.9SG VERTICAL HDPE $1470.00 . INSULATED 500 GALLON VERTICAL TANK 1.9SG VERTICAL HDPE $1030.00 . 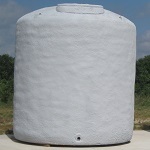 INSULATED 300 GALLON VERTICAL TANK 1.9SG 48 INCH DIAMETER VERTICAL HDPE $1227.00 . INSULATED 300 GALLON VERTICAL TANK 1.9SG 39 INCH DIAMETER VERTICAL HDPE $1199.00 . INSULATED 980 GALLON OPEN TOP TANK 1.9SG - 64 DIAM OPEN TOP HDPE $2250.00 . INSULATED 850 GALLON OPEN TOP TANK 1.9SG - 64 DIAM OPEN TOP HDPE $2100.00 . INSULATED 500 GALLON OPEN TOP TANK 1.9SG - 50 DIA OPEN TOP HDPE $1408.00 . INSULATED 10,000 GALLON VERTICAL TANK 1.5SG VERTICAL HDPE $14198.00 . INSULATED 6,500 GALLON VERTICAL TANK 1.5SG VERTICAL HDPE $9455.00 . INSULATED 4,200 GALLON VERTICAL TANK 1.5SG VERTICAL HDPE $6983.00 .